It's hard to believe Christmas is less than a month away - how did that happen so fast? I think I'm prepared each year, yet it seems to sneak up on me regardless and then I realize just how UN-prepared I really am! I've been hopping around blogland and I love seeing some of the holiday gift guides that are out there, so I thought I'd share just a few of the items that I consider fabulous gifts....and all but the last two are in the range of $20 or less. Just look at how cute this is - I just love The Pioneer Woman's line of goods at Walmart - they are so colorful and just my style! 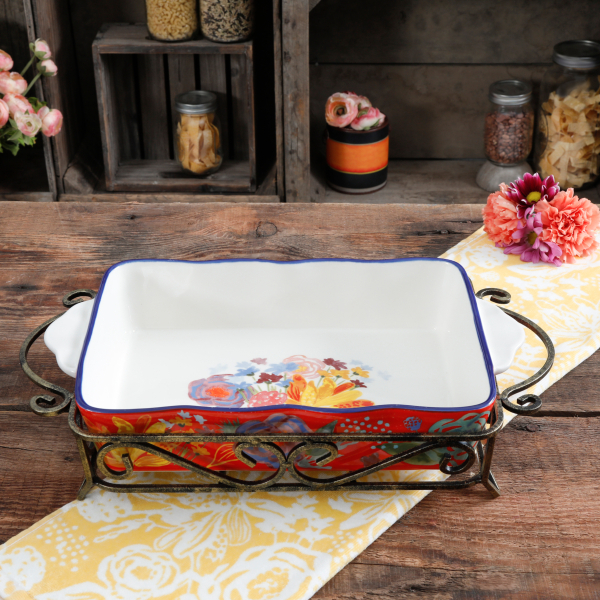 This is such a cute serving dish, just the right size for a small casserole. The iron rack means you can take it out of the oven, put it in the rack, and right onto the table. 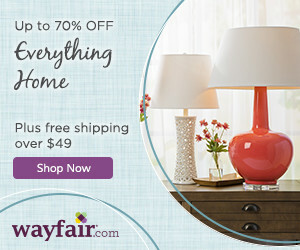 And at just under $20 it's a wonderful gift without breaking the bank! Honestly, her whole line is seriously so cute - check out more of her items here, there are so many that catch my eye! 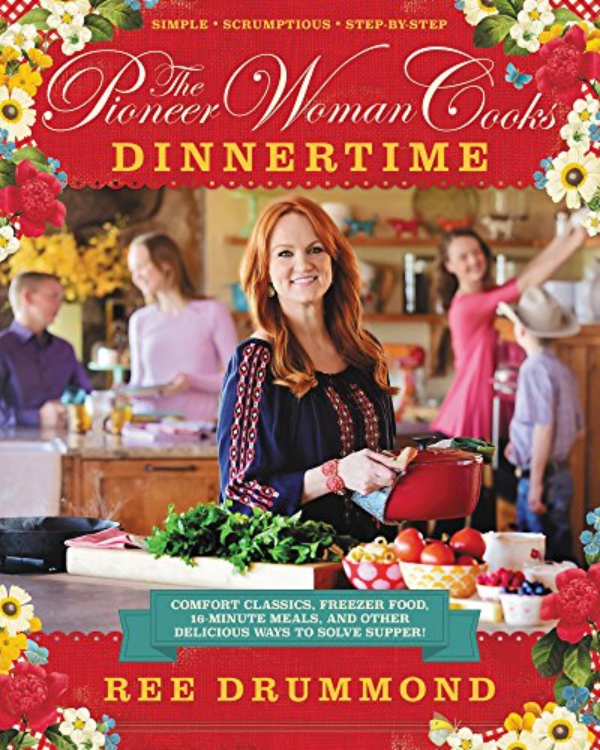 I think a fantastic gift combo would be to pair the Spring Baker with Rack with The Pioneer Woman Cooks: Dinnertime cookbook - how absolutely perfect for someone in your life who enjoys cooking....or perhaps is just learning how to cook or has moved into a new home! Throw in a matching dishtowel and you've got a terrific themed gift! Ok, when all that cooking and washing-up is done, I don't know about you but my hands get crazy dry in the winter. 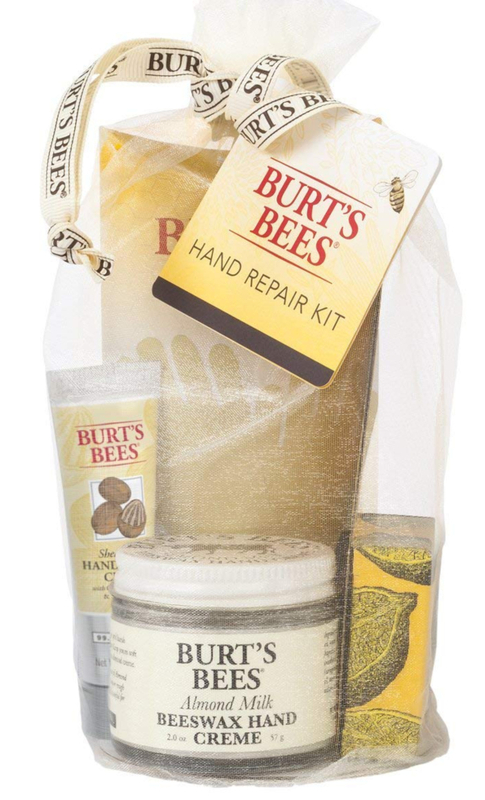 What a lovely gift this is, for both men and women - you can't beat Burt's Bees to bring you amazing all natural products, and this kit has everything you need to repair those dry winter hands. And at only $12.68 it's a perfect hostess gift as well! 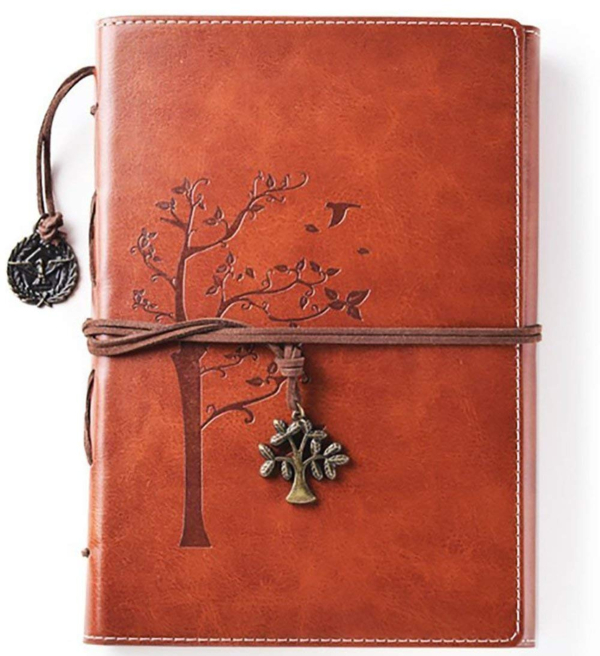 Another great option suitable for either a man or a woman is this terrific Refillable Tree Of Life Notebook or Journal. I could imagine my younger daughter using this for her bullet journal, or my older daughter using it to keep track of her yoga clients and lessons. It's great for anyone who likes to keep a journal, or just likes to keep a running list of, well, anything! And at just $20.59 this is another lovely budget friendly gift. Pair it with a nice writing pen such as this one and you've got another thoughtful and extremely useful gift. 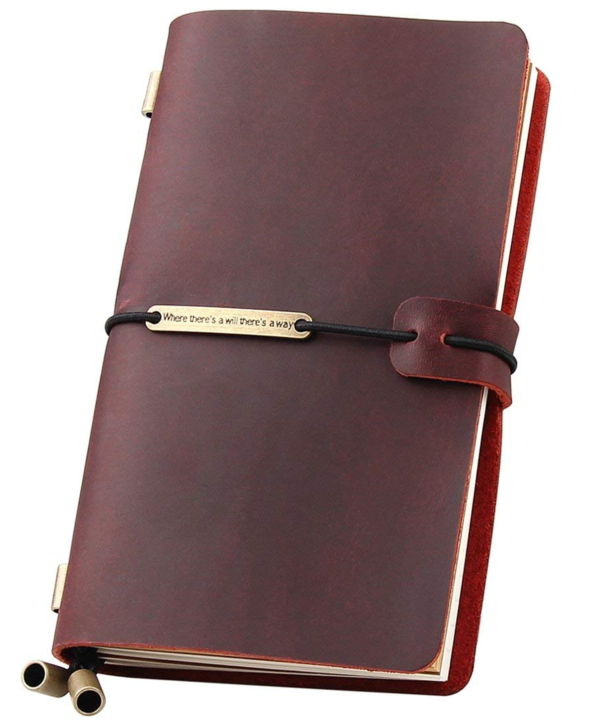 This gorgeous notebook comes in two colors and three different sizes - this is the mid sized one at $18.95 and it's made from genuine leather. What a great way to jot notes about your trip, but of course this could be used for just about any type of journal or notebook. Love it! Another useful gift? A super cute lunch bag. 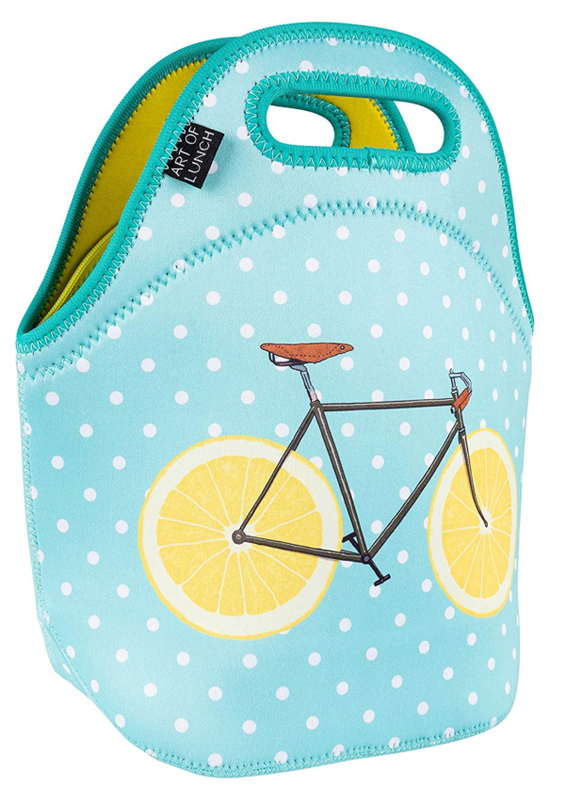 Isn't this an adorable way to carry your lunch to work? I used to have one like this for many years until one of my daughters decided to kidnap it....and it hasn't been seen since. This little bag kept my lunch cold and was machine washable which is so important! If you click through the link you can see they have many different colors/styles, but this one immediately caught my eye with those happy colors. You know that bringing your lunch to work is a HUGE way to save money each year, don't you? I very rarely ever buy lunch - maybe a slice of pizza every 6 months, if I have a serious craving. At just $19.97 this happy little lunch bag will make packing your lunch every morning that much more enjoyable! This last item is a little more pricey, but if you know someone who may have lost someone special in their life recently they make take some solace in this gift. Especially if they have a memorial garden and love wind-chimes, like me! This particular one starts at $39.00 for an 18 inch chime and prices go up from there, depending upon the size. I absolutely love this one, the simplicity of the black is perfect for a memorial wind-chime. It's more expensive at $58.00 for a 25" chime, but it's perfect. 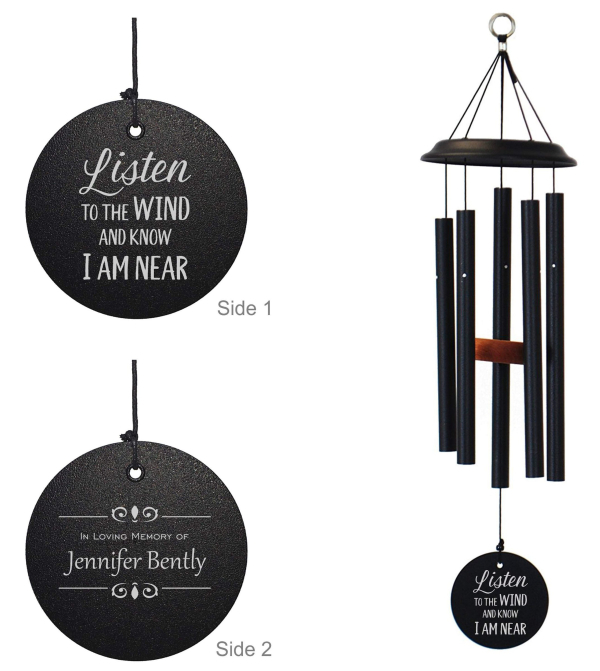 If neither of these tickles your fancy, Etsy has a whole line of memorial wind-chimes, I'm sure there's something there that will inspire you. I hope I've given you some inspiration for some simple and (mostly) inexpensive gifts this holiday season! And if you have a foodie like me in your life, check out my list of the best gifts for foodies in this post! Love these suggestions! They are all so great! I love the Pioneer Woman line as well and I have a friend who collects a lot of her items. Thank you for showing me the next thing to get for her! :-) I do try to get my shopping done early, but this year, I'm already behind! Love and hugs! These are great ideas for gifting! Thanks Penny, I thought so too! I'm already freaked out at how quickly Christmas is coming...I have to buy gifts for my husband and son and have no idea what to get them! My mom and my nieces are done. Guys can be hard to buy for I think, Melanie - for ladies it's easier, we buy what we would like ha ha! They are just so happy looking, don't you think, Kim? I'd be smiling every time I take them out of the cabinet! 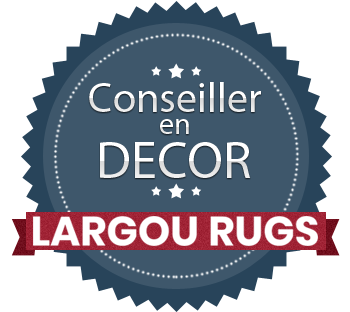 I love your gift list, nice gifts AND REASONABLE PRICES, love that. The wind chimes got to me for sure--this is my first Christmas without my dear Gypsy--and now my sweet Smokey is gone too. Goodness how I miss them. I know it's not going to be the easiest holiday for you as well. Alot of sadness this year, but there is joy too and I try to focus on that. Such cute ideas! plus I love ANYTHING Pioneer Woman! It's hard to NOT buy her stuff, Ellen, it's just so adorable! I love the Pioneer Woman products. All I have from that line are a couple of pot holders. Her stuff is really colorful and cheerful! Next time I need pot holders I'm going to keep her stuff in mind, Brenda! I love all of these gift ideas. I am a big fan of the Pioneer Women's line. In fact I got her cute Basset Hound Cookie Jar a few years back when we had Cooper it looked just like him. 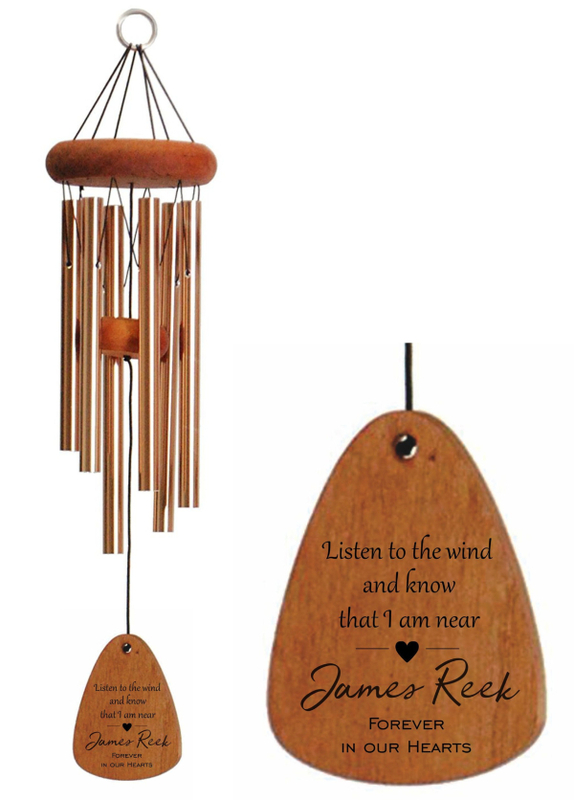 Love the memorial wind chime too what a great gift to give someone missing their loved ones at this time of year. I have a few people in mind for this gift so thanks for sharing this idea. Have a great rest of the week. I had to go look up that cookie jar, Kris, and you are right, it looks just like sweet Cooper! It's adorable and what an AMAZING price!!! Good for you,Nancy! I'm nearly done also, just a few more things to get....and I did start wrapping, so I guess I'm ahead of the game! That's great, Cindy, I'm glad my suggestions were useful! How old is your grandson? He's 11. And a grand daughter who is 10. i have no idea for these kids. Momma and Daddy are well, um , well off and it makes it hard for grammy's on a budget to buy them anything. Oh boy, Henny, well this is the year you can start early and be done well before Christmas eve! I'm so glad you enjoyed the post, Debbie! Yep--I'm surely a big history buff. I spend hours researching these amazing old homes and the people who lived here. They are absolutely fascinating to me, I guess you can tell! ha ha LOL Are you staying warm and cozy up your way? If I were you, I would be right IN FRONT OF a nice warm fire, snuggling with my animals! It's great weather for cooking too, I know you like to cook up big delicious feasts--lucky are those who are invited! I do like to cook up big feasts, and never more so than on a snowy day! Yesterday it was meatloaf and mashed potatoes, one of my all time favorite comfort foods! Same here, Karen Ann! I remember I used to like to smell it when I was a kid, but I could never use it - my face would have broken out like crazy! Now that I'm old it works great for my skin - I swear my skin looks so much fresher these days! Debbie, these are ALL such wonderful gift ideas. I love the wind chimes, and my daughter #1 has been journaling for over 20 years - that's a beautiful one. The lunch bag is super too - I have one in the Courtly Check pattern! It's perfect for water activities too - neoprene! Thanks so much for sharing your ideas. I think the older I get these simple items just make me happy, Rita! Of course I love those memorial wind chimes....they would be perfect in the garden I created for my dad! It definitely is a magical forest and I love everything about it! Twinkle lights are the best, and that angel is so sweet!! I also love your glittery snowman and girl. You've created a warm and welcoming forest!! 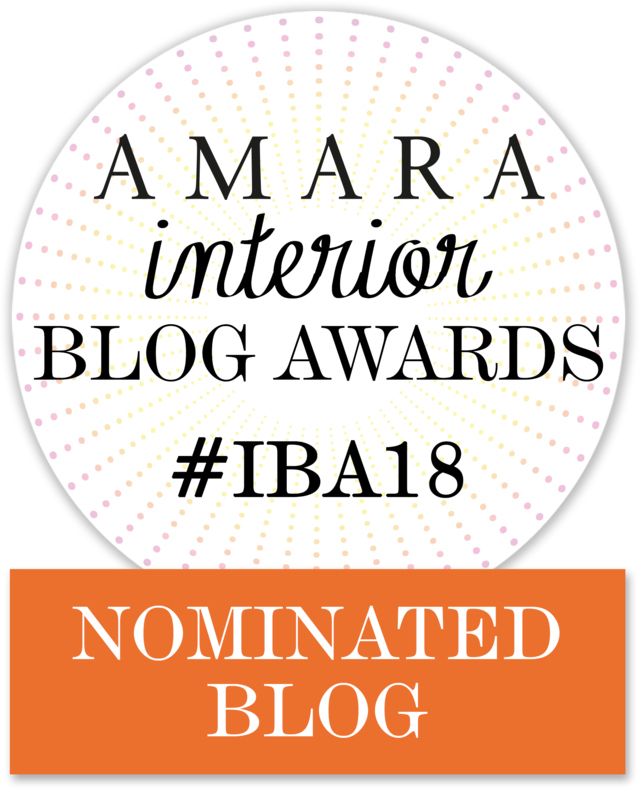 Thank you, Jann! I'm really happy with my decor this year!